The ranking of “Top 500 NGOs in the World” was recently published by Global_Geneva. (In 2012 and 2013 The Global Journal published a “Top 100” ranking but they have now expanded it to “Top 500” for 2015 under Global_Geneva). Showcase the diversity and scale of organizations encompassed under the ‘NGO’ label (ultimate objective) for readers both familiar and unfamiliar with the sector. Evaluate NGOs comparatively, not limited by geography or activity, and according to specific criteria (impact, innovation and sustainability). Stimulate constructive debate around questions and issues affecting the ‘NGO’ sector, whether they be internal, sectoral, or global. 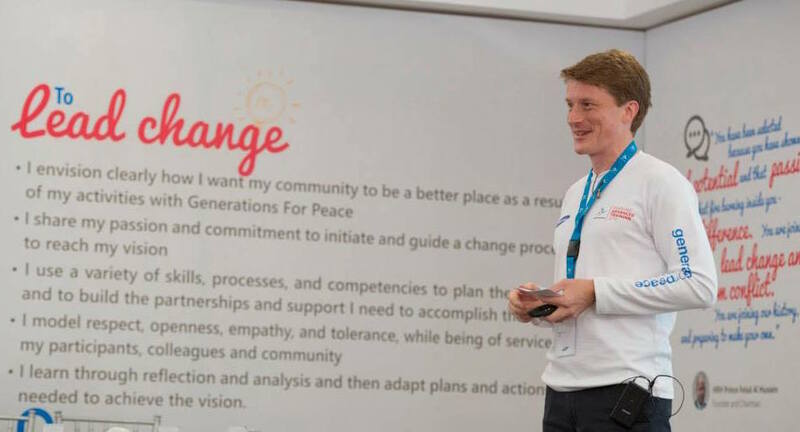 The ranking’s three criteria resonate strongly within Generations For Peace, because they match three of our four “Drivers of Change”, which we set our focus on since 2011: “Innovation, Quality, Impact and Sustainability”. In so many ways, this is the secret behind our success and achievements. In 2013 Generations For Peace was ranked #94 in the World. That was an incredible result for an organisation just 6 years after being founded. In the new 2015 ranking, we are now ranked #32 in the World! Generations For Peace is now the 2nd-highest-ranked peace-building organisation on the list, and the only Jordanian NGO in the Top 100. I cannot overstate how important this recognition is. It’s incredibly powerful for our communications to our Donors and Partners. Their reaction to the news has been tremendously positive, and since strong partnerships were a key measure for the sustainability factor, we have been stressing that we share this success with them all. But above all, it’s a massive motivational boost for all our Delegates and Pioneers and all our staff. It strengthens their credibility and status in their communities and their relationships with local partners, and makes them feel 3 metres feet tall! And it’s a wonderful validation of their incredible hard word and determination in the face of immense challenges. These reactions themselves are a powerful force for good, because Generations For Peace is nothing with the dedication of our volunteers, and the support of our Donors and Partners. The ranking tells us we are doing something right! Keeping our focus on our four “Drivers of Change”, we can be sure of more success to come! We have many exciting things coming up in 2015, including new publications from the GFP Institute, our first Dialogue For Peace Trainings, and ongoing programmes in more than 24 countries. Sign up for our new e-newsletter to hear the latest on our work.